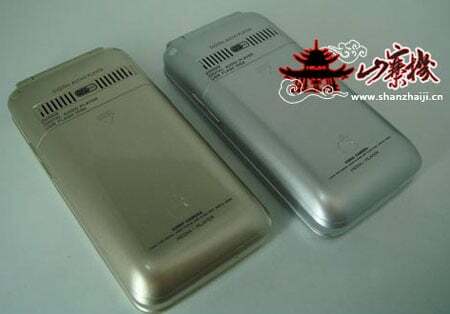 The world’s first clamshell iPhone has been discovered online and it’ll be available to buy later this month. Ok, so it’s not exactly legit, but it looks the business. 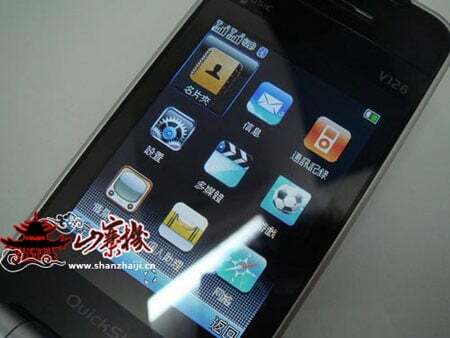 The phone’s called the iPhone V126 and has surfaced on a Chinese website. Sporting a cute Apple logo on the outside and a brushed Air-esque aluminium body, the phone has a 2.6in display – although we don’t think it’s touch-sensitive, and a menu system so like the real iPhone that it’s bound to make Apple flip. Where have we seen that menu system before? You can actually see the six LEDs used to light up the Apple logo, giving it a cute rip-off quality. The dual-band GSM phone measures 105 x 53 x 17mm and has a number of tech treats under its shell. For example, there’s a three-megapixel camera with video capture capability - something missing from the real thing - on-board Bluetooth, MMS support, a memory card slot and both a “simplified Chinese” and an English menu scheme. Sadly, it doesn’t support Wi-Fi and we guess it won’t let you access the iTunes Apps Store. But the iPhone V126’s real appeal lies in its looks, because the level of detail that its designers have gone into to make it look just shy of a legitimate clamshell iPhone is amazing. 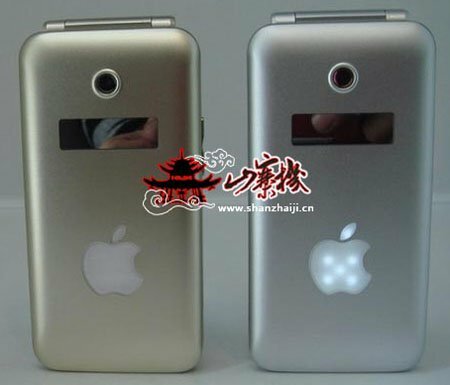 If you’re really taken with the iPhone V126 and want to make people say, “Hey, was that guy using an Apple clamshell,” as you walk down the street, then it’ll be available to buy in China later this month.